Here is a reminder of the current Tesco PayQwiq offer in case you missed our last article last month. It would be a shame to miss out on these easy Clubcard points. 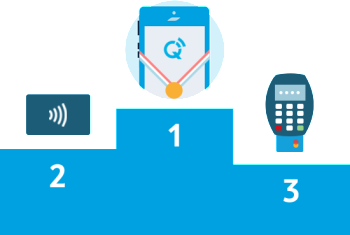 In total, you can earn 500 free Clubcard points when trying PayQwiq over the next few weeks. And it is now available wherever you live. Until recently you were only able to use this paying method in around 1,300 shops throughout the UK. This has finally been extended and you can now use PayQwiq in Tesco stores throughout the UK. Used three weeks ago but not had any bonus points added yet? I’ve used it 7 times and had a lump sum of 500 points added at around use 3 or 4. Don’t really understand why…. Meanwhile a friend at work has used it 5 or 6 times and hasn’t had anything yet. My wife and I are both existing customers, and collected the 500 points last time round. We did get an email from them in January saying that it was now available in all stores, but I’ve just checked the email and there was no mention of the bonus points this time round. However, we have both been receiving the 50 point bonuses during February. I got 200 Tesco points just for downloading the PayQwiq app. I have then got 50 points per shop for 6 shops so far. The 50 points take about 3 weeks to come through. despite the signs still advertising Double Clubcard Points.